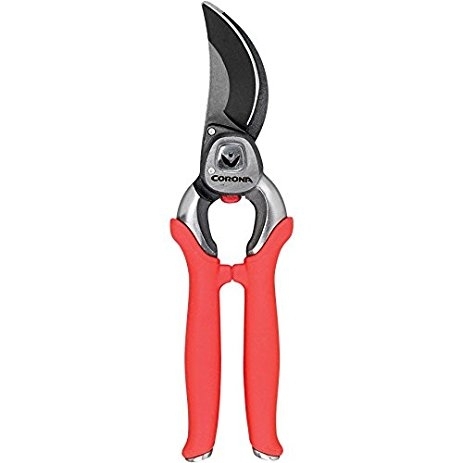 The Corona ComfortGEL Bypass Pruner has a 3/4-inch cut capacity and features soft, ergonomically shaped grips for comfort. 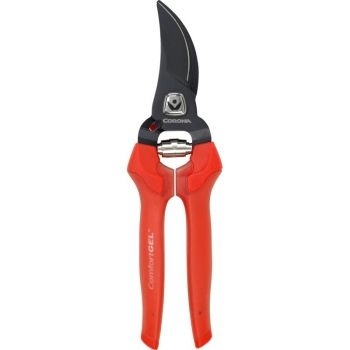 The Corona Classic Cut forged bypass pruner cuts up to 1 inch branches. 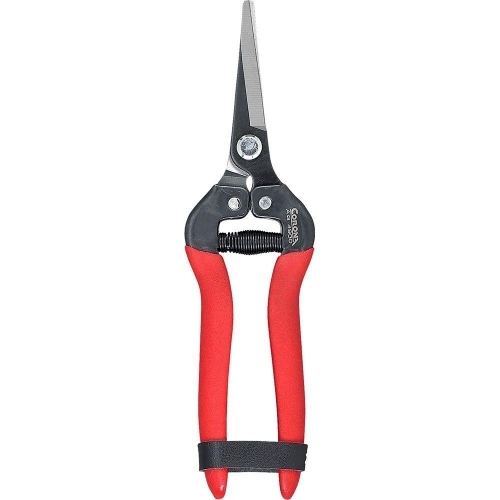 The forged steel construction and replaceable blade are made for maximum durability and sharpness. 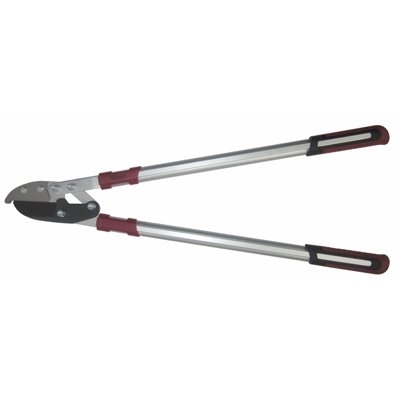 The handles come equipped with non-slip grips for improved control and feel while performing yard work. 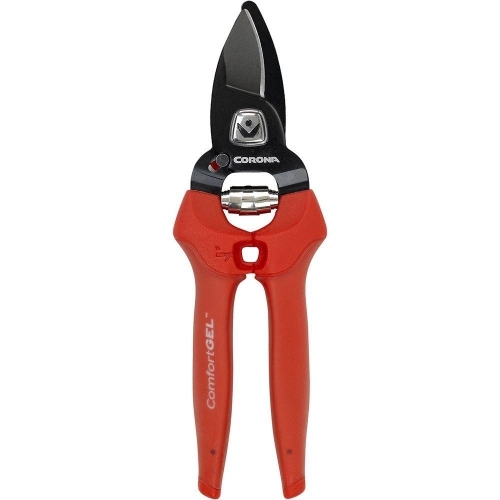 The Corona Clipper compound-action anvil lopper offers three-times the cutting power of conventional loppers. 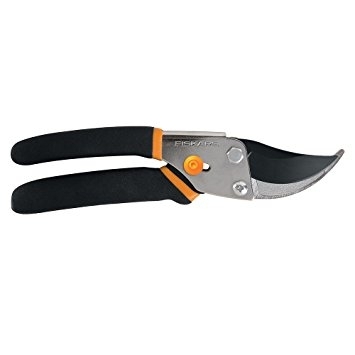 The unit features a re-sharpenable, Teflon-coated high-carbon steel blade with a 1.5-inch cutting capacity and is designed for a fast and precise shearing action, perfect for tackling dry and woody growth. The articulating four-bar compound linkage triples its cutting power (compared to standard loppers), and both the blade and anvil are replaceable, making this tool an ideal choice for multiple-season use. 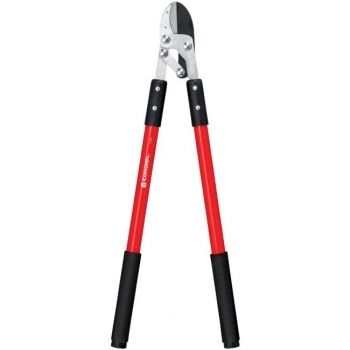 Other design features include 24-inch fiberglass handles that add extra strength and leverage, while the fiberglass handles also resist weathering. The unit's handles also sport extra-long 12-inch non-slip foam grips for added comfort. 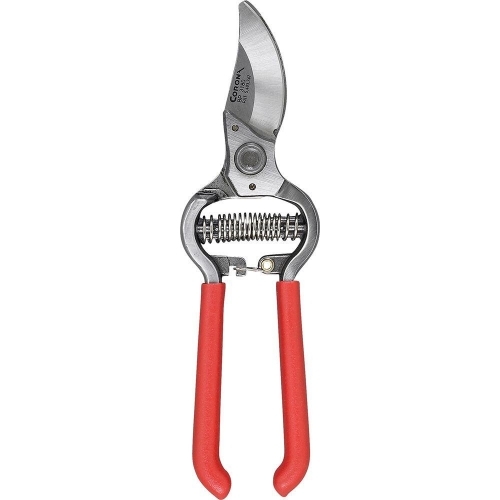 The AG 4930 is a long, straight blade snip that is great for dead-heading, trimming inside and out and a wide range of applications. The long-nose design is great reaching inside the plant for fine detail cutting. The steel blades are fully heat-treated for strength. The spring, blades and handles are coated to prevent rust. 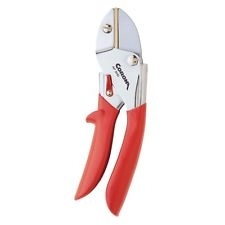 The leather strap lock is unobtrusive when the tool is in use. 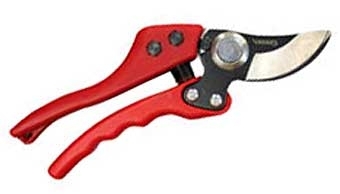 Integrated thorn stripper for stems up to 3/8 in. The Corona Extendable DualLINK Bypass Lopper with ComfortGEL grip takes everything you love about our other loppers and adds in longer reach. Boosted power and reduced effort unite through DualLINK, a power-compounding- link feature that appeals to both engaged gardeners and landscapers searching for ease-of-cut. 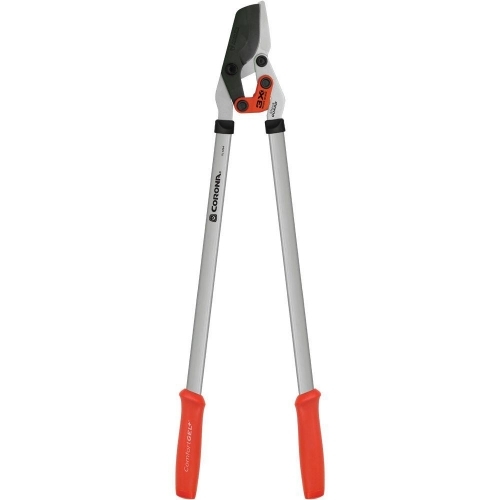 The ComfortGEL+ bypass lopper provides maximum cutting performance with the PowerSOURCE 4-bar linkage cutting system. The integrated ShockGUARD bumper reduces shoulder and arm fatigue, making your gardening experience more enjoyable. 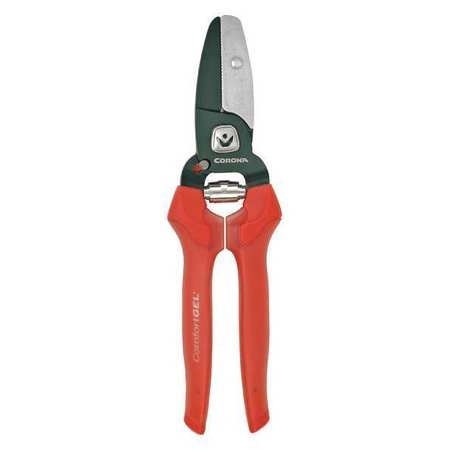 The innovative blade and hook design offers a two-zone cutting application for small and large cuts. 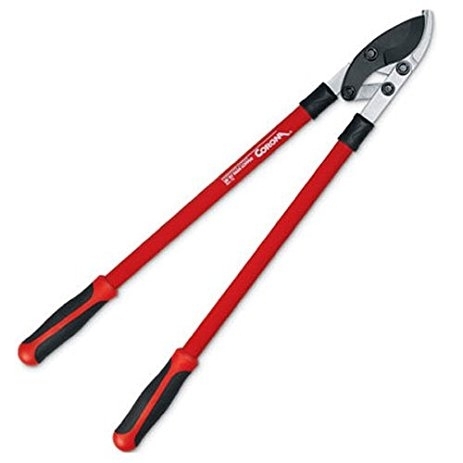 The lopper can cut branches up to 1-3/4 in. The ComfortGEL+ grips and steel handles give you enhanced comfort and durability. 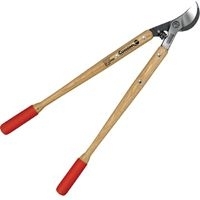 These Classic Cut loppers are precision-made, with a self-aligning pivot bolt. The Shock-Stop® bumpers brings even the biggest cut to a gentle stop. 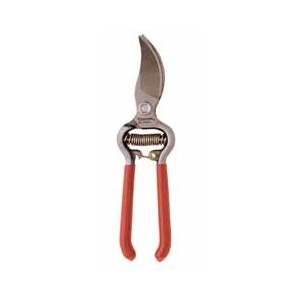 Forged steel bypass pruner made of drop forged steel. 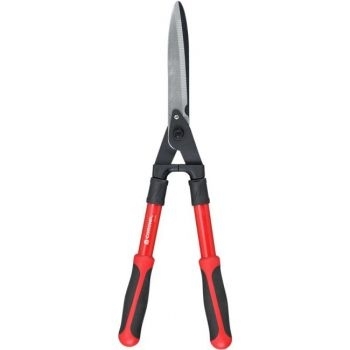 Extra strong and durable, angled cutting head for added comfort and reduced stress. 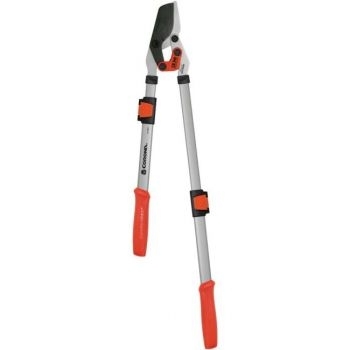 3/4 inch cutting capacity, lifetime warranty. 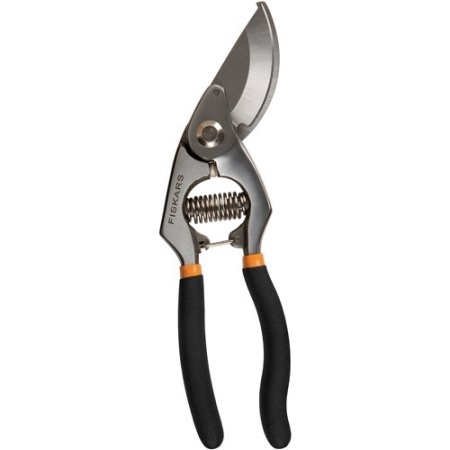 Ergonomic angled pruning head with non-slip comfort grips. Practical, super-sharp, and indispensable. 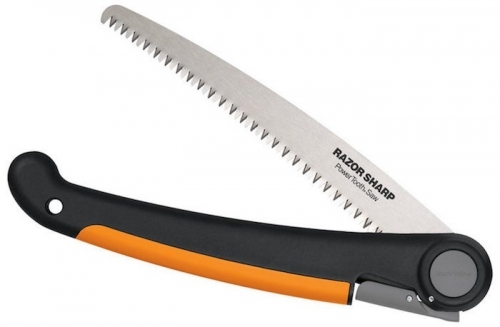 This 7-inch folding saw might likely become your favorite tool. 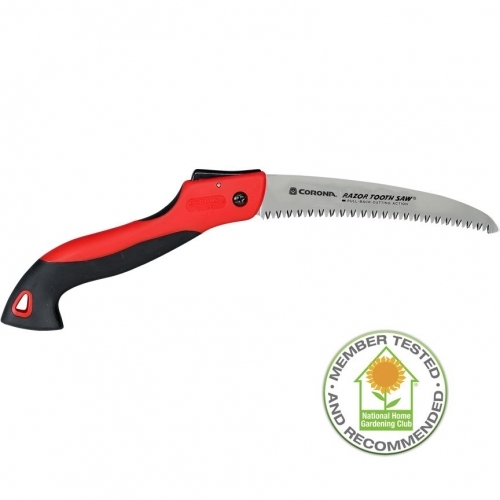 Compact enough to keep in a pocket, this saw features the best triple-angle blade on the market today. The unique, variable-tooth blade design planes wood away far faster than ordinary, repetitive triple-angle designs. 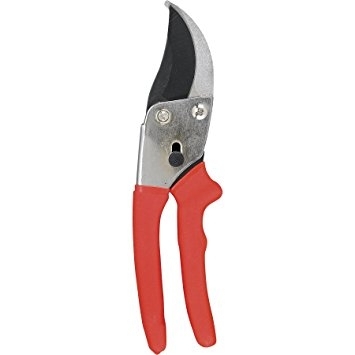 The blade locks in place when cutting to eliminate accidental closure and folds and locks into the handle for easy storage.